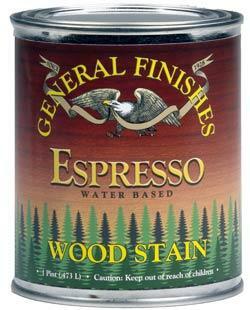 General Finishes Water Based Wood Stains have all the advantages of oil base stains: they spread easily, can be repaired, can be blended effortlessly, and have plenty of working "open time." This fairly recent formula allows controlled penetration, which will reduce blotching as associated with oil based finishes. The Espresso in particular is a lovely even toned dark brown.